This article was last updated Jul 25, 2016, but some terms and conditions may have changed or are no longer available. For the most accurate and up to date information please consult the terms and conditions found on the issuer website. Hilton HHonors might not be the most rewarding hotel program in every case, but the program has a handful of top quality properties around the world as well as a bunch of really good redemptions in lower categories. With points that are so easy to earn, HHonors is hard to ignore. This guide will tell you what you need to know to make the most of your Hilton HHonors points. What hotels can you book with Hilton points? How many points does a free night cost? Can you turn Hilton points into airline miles? What are Hilton points worth? What stays qualify to earn points? What points transfer into HHonors? How can you earn Silver status? How can you earn Gold status? Hilton used to have ten hotel categories for points redemptions, but now just assigns a highest maximum price for a given hotel. The highest possible price for a hotel night starts at 5,000 points per night for a Category 1 hotel and can go as high as 95,000 points per night for a Category 10 hotel. But any hotel could cost less than the maximum, because Hilton bases the price in points on a bunch of factors like the season and the prevailing room rate. You can look up the maximum prices Hilton charges for hotels using this tool, and below are the general ranges for each category based on the old Hilton award price chart. Hilton does not have any blackout days for using points. If there is a standard room available at a cash rate, you can book that with points. If you find yourself short on points, you can also book Points & Money awards, which let you pay part in cash and part in points based on a sliding scale. It is possible to upgrade a Hilton reservation with points. The number of points required varies by room, hotel, and date. It may be possible to upgrade a points redemption with cash as well, but this varies by hotel. You can also use points to book straight into a premium room, but this is rarely a good redemption. Make sure to check how much value you are getting out of your points before you book. A few of our favorite Hilton properties are the Conrad Maldives (Category 10 – as low as 70,000 points), Waldorf Astoria Park City, Utah (Category 9 – as low as 50,000 points), and the amazingly priced DoubleTree Kuala Lumpur (Category 2 – 10,000 points). In addition to our favorite hotels, there are a few types of redemptions available that can stretch your points even further. When possible, you should take advantage of these in order to increase the value of your points. You will need to call Hilton on 1-800-446-6677 (1-800-HHONORS) to book your AXON award. Tip: Another specialty award Hilton offers is the 5th Night Free. In order to have access to these, you must have elite status with Hilton. If you do, have status, any stay of five nights or longer (up to 20 nights) is eligible for every fifth night free (up to four free nights). Note that 5th Night Free only applies to standard rooms. Because there are multiple redemption options, it is important to consider which one will give you the best deal. This will depend on whether or not you have status or a Hilton co-branded credit card, as well as what category hotel you are staying at. The cancellation policy of award nights is dependent on the hotel. Some hotels will only require 24 hour advance notice, while others may be more strict. You will usually see the point deposited back into your account within minutes of canceling a stay. Hilton has over 40 airline partners and Hilton points can be converted into airline miles, though it will rarely make sense to do so. Conversion rates vary dependent on the airline partner. For partners Aeroflot, American Airlines, Frontier, Gulf Air, Hawaiian Airlines, Qantas, South African, and Virgin Atlantic, the transfer rate is 10,000 Hilton points to 1,500 airline miles. For all other airline partners the rate is 10,000 Hilton points to 1,000 airline miles. Tip: These transfer rates aren’t very good. The only time we recommend transferring Hilton points to miles is if they are otherwise going to expire or you think you will never use them for a hotel stay. We think Hilton HHonors points are worth about 0.5 cents each. Users of HotelHustle.com find results that imply about 0.5 cents per point on average. For example a stay at the Hilton San Francisco Union Square can run 60,000 points a night, versus a room rate of $299, or about 0.5 cents per point in value. Hilton does allow you to share points with another member, for a fee. For every 1,000 points you share, the fee is $10. A better way to share points with friends and family is to book a hotel room for them from your account! It’s easy to rack up a lot of Hilton points pretty quickly. You’ll earn 10 Hilton HHonors base points for every dollar spent on your room rate and other eligible charges charged to your room at most hotels. At Hampton and Homewood Suites, you’ll only earn 10 points per dollar on your room rate. At Home2 Suites you’ll earn 5 points per dollar spent only on your room rate. In addition, you will earn bonus points for every stay. You can choose whether to earn points or miles for your bonus points. If you choose additional points, you’ll earn 5 bonus HHonors points for every dollar spent on your room at most Hilton hotels. At Home2 Suites you’ll earn 2.5 bonus HHonors points per dollar spent on your room. If you choose to earn bonus miles, you will earn 1 mile per dollar spent on your room, at Home2 Suites this is capped at 100 miles per stay. If you have status with Hilton, you will earn a bonus on the base points. Silver members earn a 15% bonus on stays, Gold members receive a 25% bonus on stays, and Diamond members receive a 50% bonus on stays. Hilton runs various promotions throughout the year that offer additional points for staying a certain number of nights. In addition to earning points from hotel stays, members can earn points through credit card spend on the Hilton co-branded credit cards or with other Hilton partners. Almost all rates that are booked through Hilton.com will receive stay and points credit. If you book through a third party site such as hotels.com, Orbitz, or Expedia, then you will not receive points or stay credit for that stay. There have been reports that you may still receive points on eligible charges that are posted to your room, but your mileage may vary. Hilton does offer a Best Rate Guarantee program that will match a better rate found on a third party website. If you find a better rate, Hilton will match it and give you an additional $50 credit. If you find a better rate elsewhere, you should book with Hilton and submit a Best Rate Guarantee. If there are no better rates, you should book directly with Hilton in order to get the most benefits out of your stay. 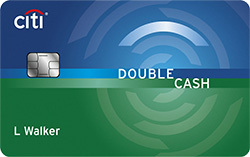 Hilton has two different credit card options that earn Hilton points. 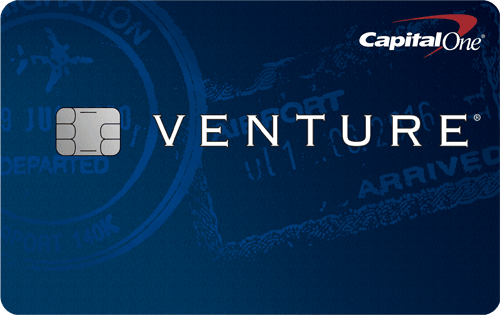 Hilton co-branded credit cards are issued through American Express. Let’s take a look at your two options. The information related to the Hilton Honors Card and the Hilton Honors Ascend Card has been collected by CompareCards.com and has not been reviewed or provided by the issuer of this card. The three biggest programs that let you transfer points into Hilton HHonors are Citi® ThankYou®, American Express Membership Rewards®, and Virgin Atlantic Flying Club. All 3 let you transfer at a rate of 1 point = 1.5 HHonors points. The most notable benefits of Silver status are late checkout, 5th night free access, and 15% bonus points. The best benefits of Gold status are free breakfast, the possibility of a room upgrade, and higher points earning. In order to keep your Hilton account active, you must have activity at least every 12 months. Earning points through a stay, credit card spend, or a transaction with a partner or redeeming points for a free night will reset the expiration date of your points.